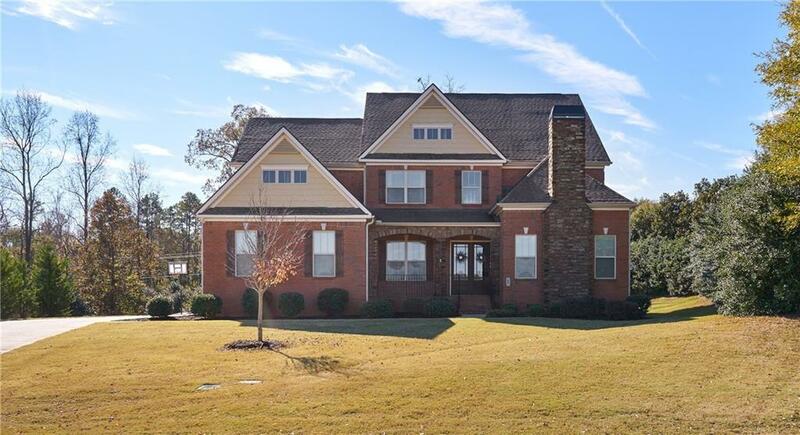 This beautiful, traditional home is situated overlooking the grand lawn of the desirable Rushton subdivision. Move in ready, newer home that is a perfect blend of modern day living and elegance. Featuring an open floor plan with spacious rooms and taller ceilings, you are sure to love this home from the moment you step in! Master on main with separate sitting area and fireplace. Wonderful kitchen with stainless appliances, gas cooktop, double wall ovens and granite countertops that opens onto your screened porch with outdoor fireplace and private rear yard- an entertainers dream. Four additional bedrooms, an office/loft/bonus room and a fabulous media room with kitchenette on the upper level. Don't miss this opportunity to live in this gated community convenient to I-85 and downtown Greenville zoned for award winning schools!